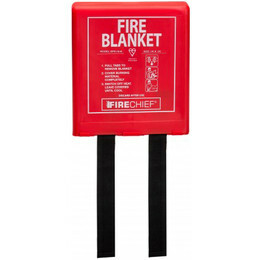 This Firechief 'Rigid Case' fire blanket is a durable single-piece moulded design with an opening at the base for the blanket to be pulled out of. Red durable single-piece moulded design. K40 Blanket - weaved twill cloth.